Looking for professional window cleaners in East Perth? Call CCC Window Cleaning - East Perth's premier window cleaning company today. We clean windows in East Perth. 1300 72 87 72. Our goal is to perform the highest quality window cleaning in East Perth available at affordable prices. Residential and commercial properties! Get sparkling windows and brighten up your world with CCC Window Cleaners in East Perth. East Perth is an inner suburb next to the Perth CBD. CCC washes windows wherever windows are to be found in Perth. Commercial and residential areas like East and West Perth, Subiaco, Leederville, Burswood, Victoria Park, Ascot, as well as Perth CBD. We also clean windows in industrial areas like Wangara, Malaga, Osborne Park, Balcatta, Welshpool, Carlisle, Kewdale, and many more. For residential houses and apartments we clean windows all over the Perth metropolitan area. For shop fronts in the Perth CBD to apartment buildings and office blocks in East and West Perth, call CCC. We employ safe reach and wash systems for high external glass and in many cases we can even perform window cleaning inside with the latest in internal glass washing techniques without water spillage at a height of up to 45 feet with our feet on the ground. 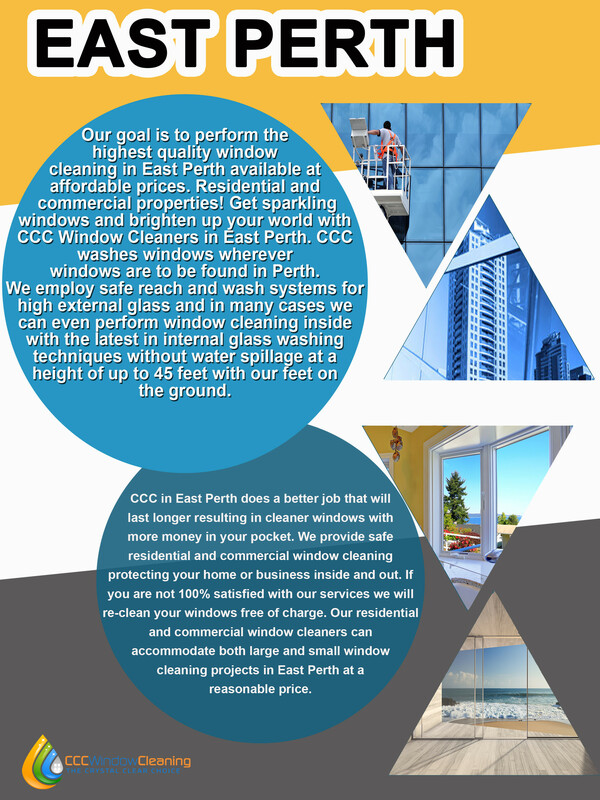 From apartment blocks to restaurants and hotels, trust CCC for all you local window cleaning needs in East Perth. CCC Perth does a better job that will last longer resulting in cleaner windows with more money in your pocket. We provide a safe residential and commercial window cleaning protecting your home or business inside and out. If you are not 100% satisfied with our services we will re-clean your windows free of charge. 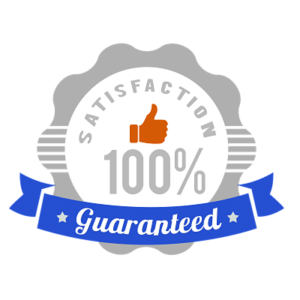 Our residential and commercial window cleaners in Perth can accommodate both large and small window cleaning projects in East Perth at a reasonable price. Free tip: Sprinkler systems should be adjusted so that water does not spray onto the glass. Hard water from sprinklers and taps will stain the glass over time as the chemicals and minerals from the water will build up on the glass. Slight calcium build ups can be removed by window cleaners. Medium level build ups need buffing out. And heavy stains may require glass replacement. To avoid this, take steps to ensure your sprinkler system waters your garden, not your windows! And secondly employ a professional residential or commercial window cleaning company like CCC in East Perth.